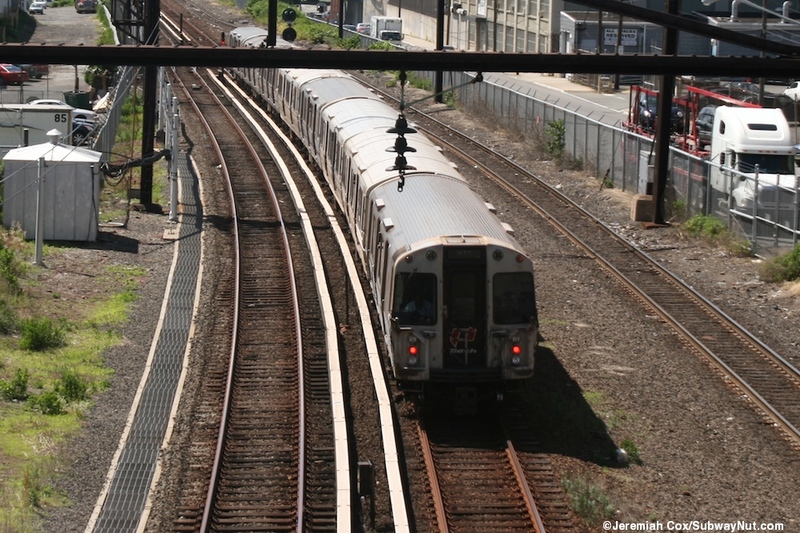 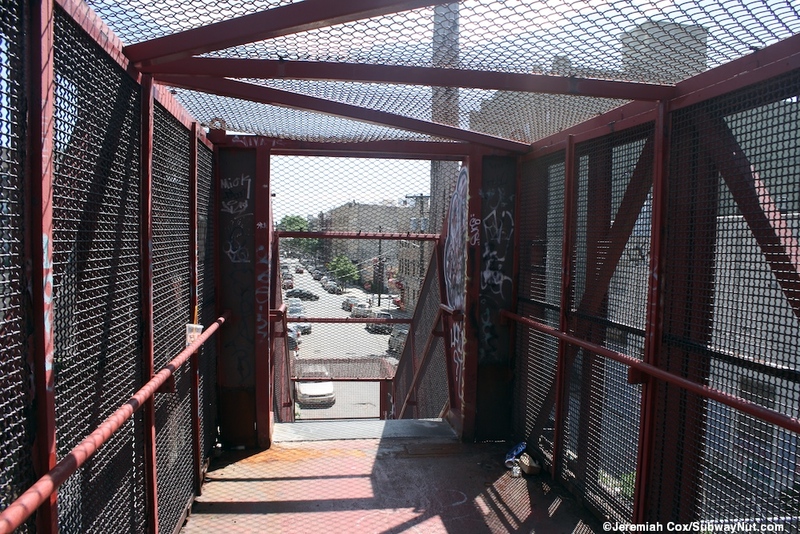 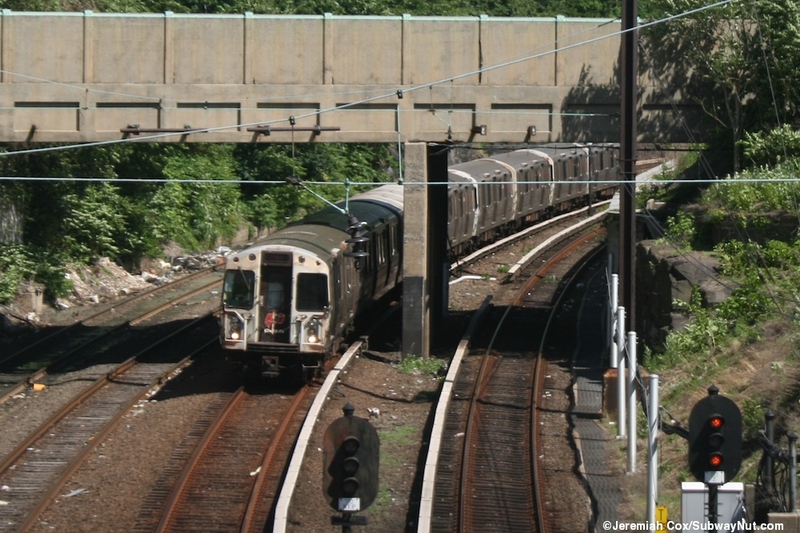 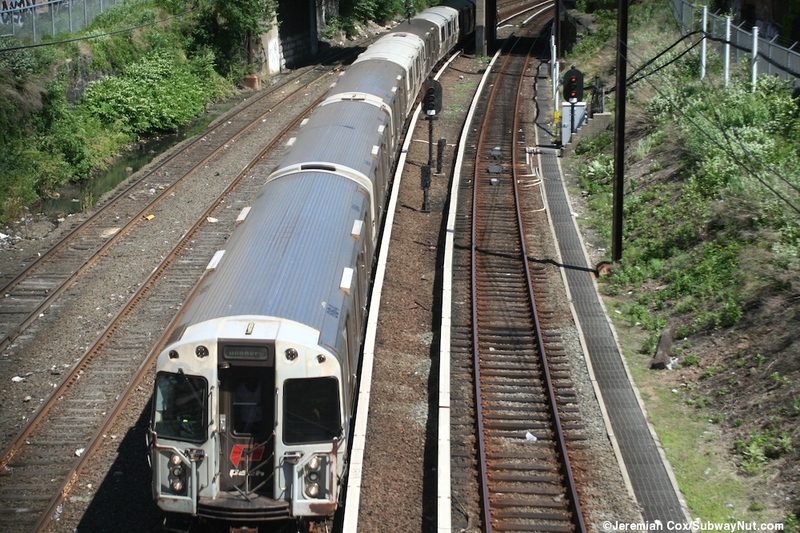 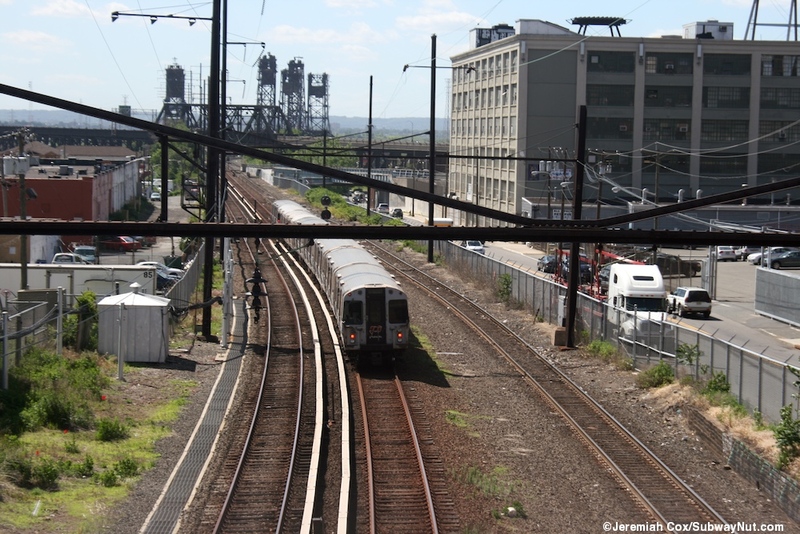 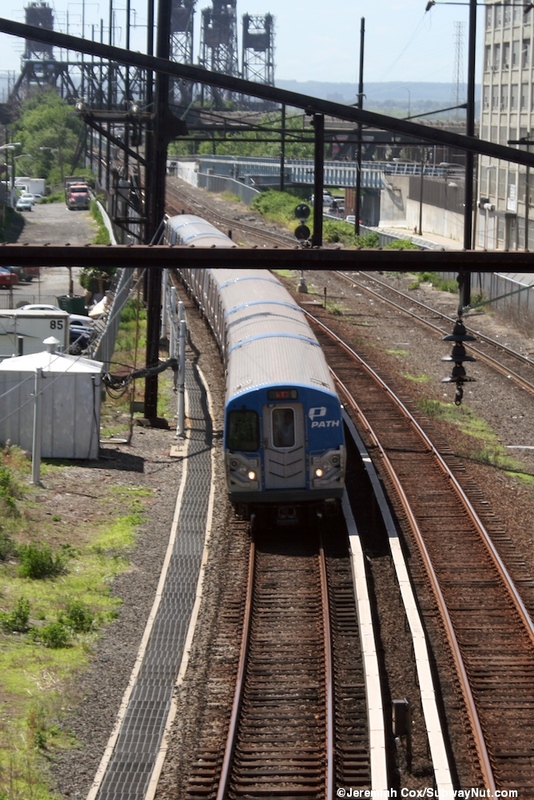 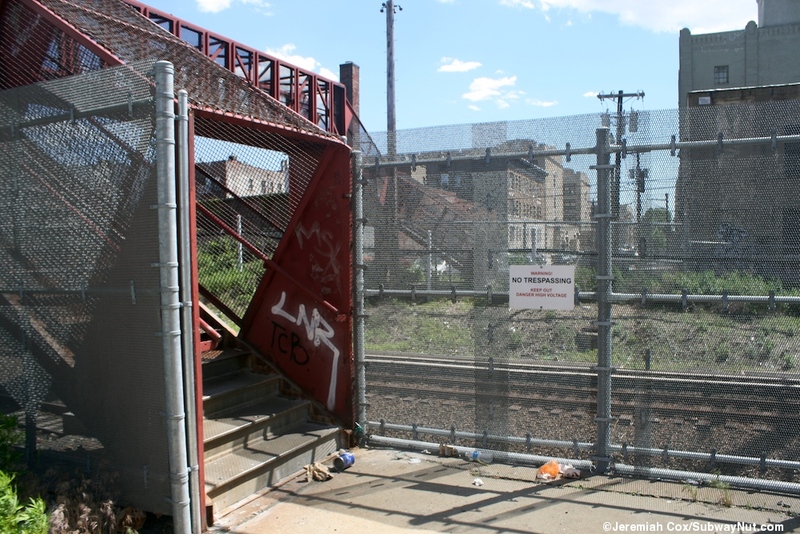 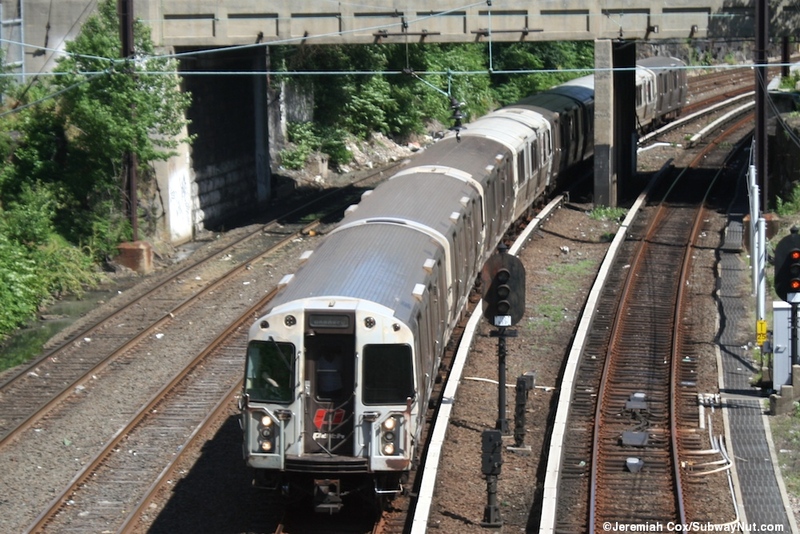 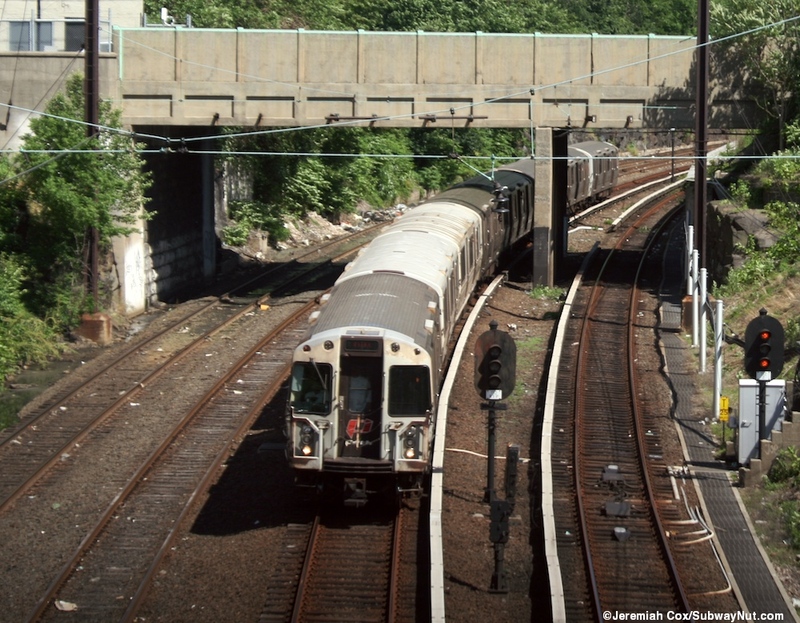 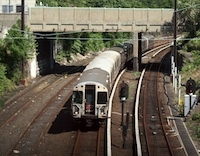 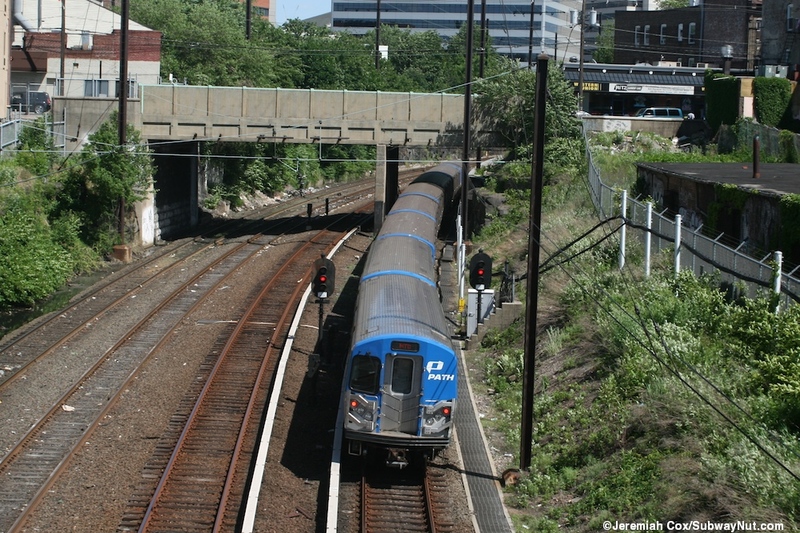 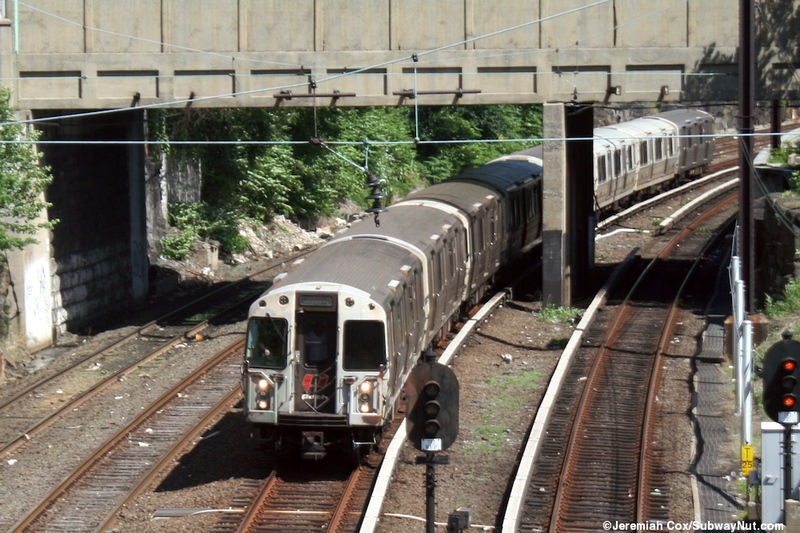 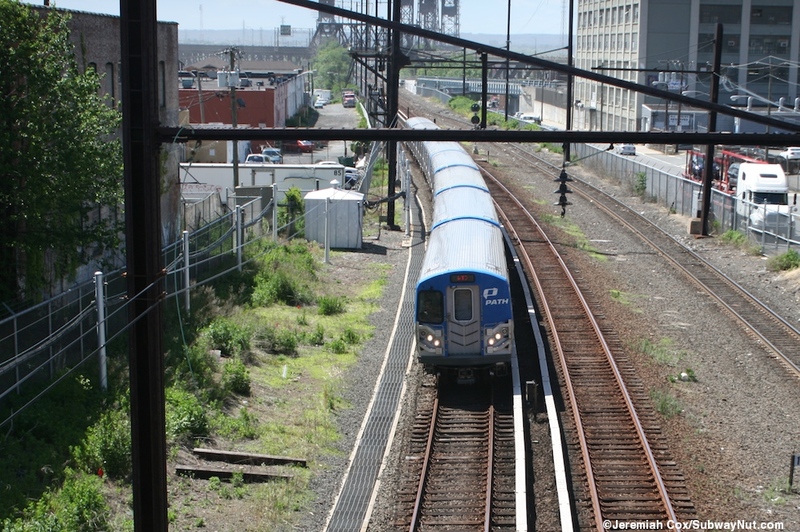 The Van Wagenen to Newark Avenue Footbridge: About half a mile west of the Journal Square Station is a red footbridge that connects the dead end of Van Wagenen Avenue with Newark Avenue (parrelell and at the same level as the tracks) across from Senator Place. 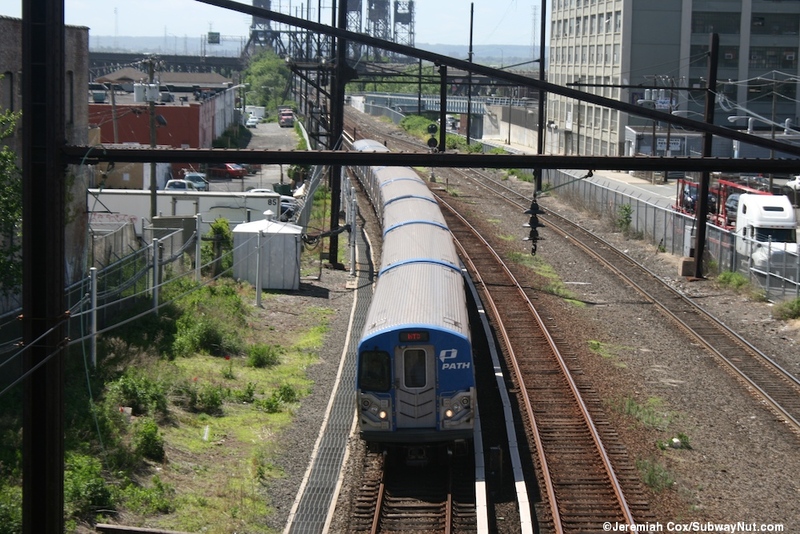 (Map) This red, slightly graffiti covered bridge with staircases up at each end is covered in mesh that has enough space to stick a camera through and get photos of the Newark to World Trade Center trains as they enter the long aboveground stretch through the freight and intermodal yards along the southern New Jersey Meadowlands. 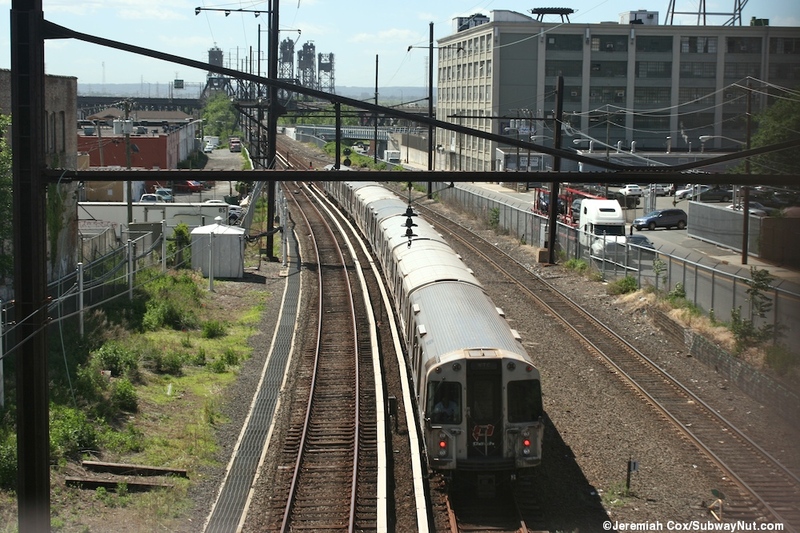 The line hear also still has the supports that remain when it was shared with the Pennsylvania Railroad and was electrified by catenary wires. 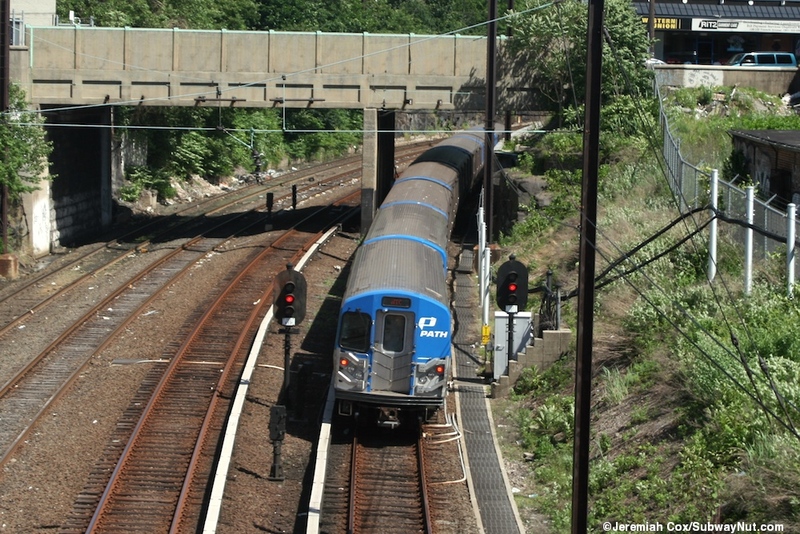 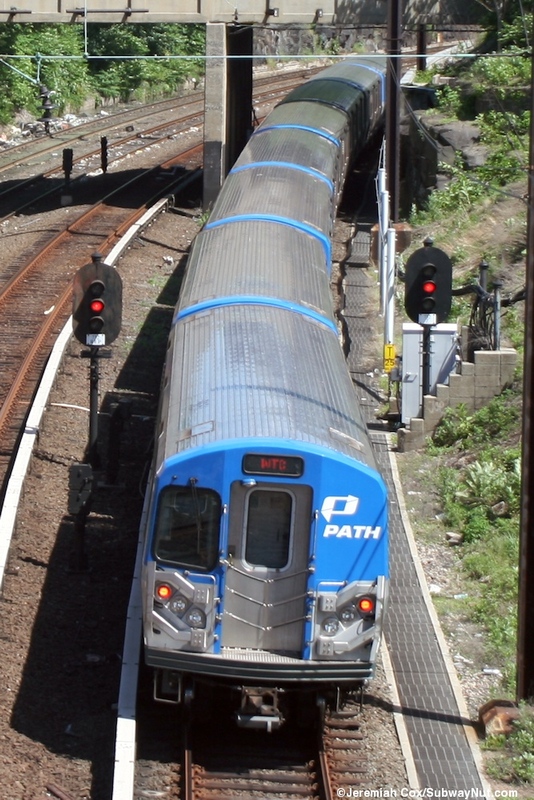 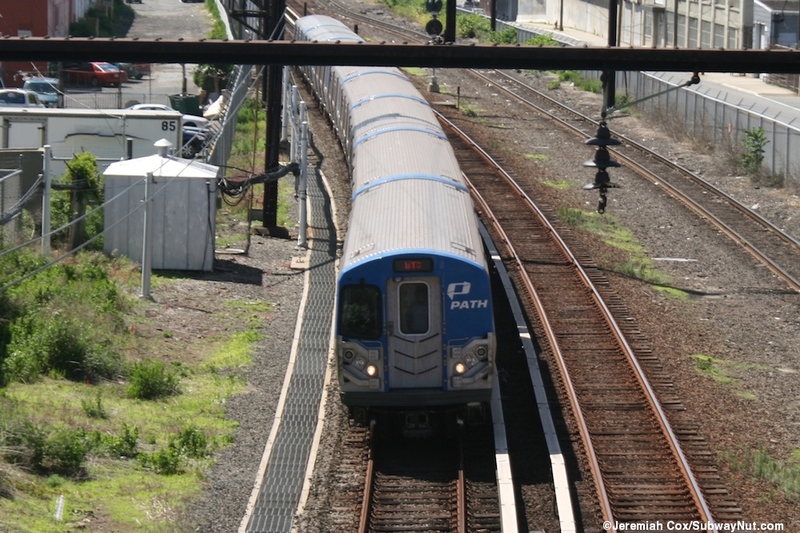 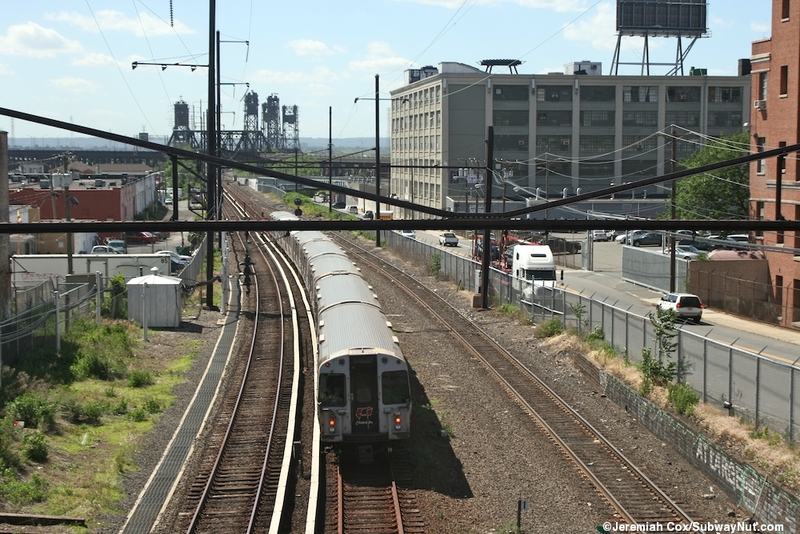 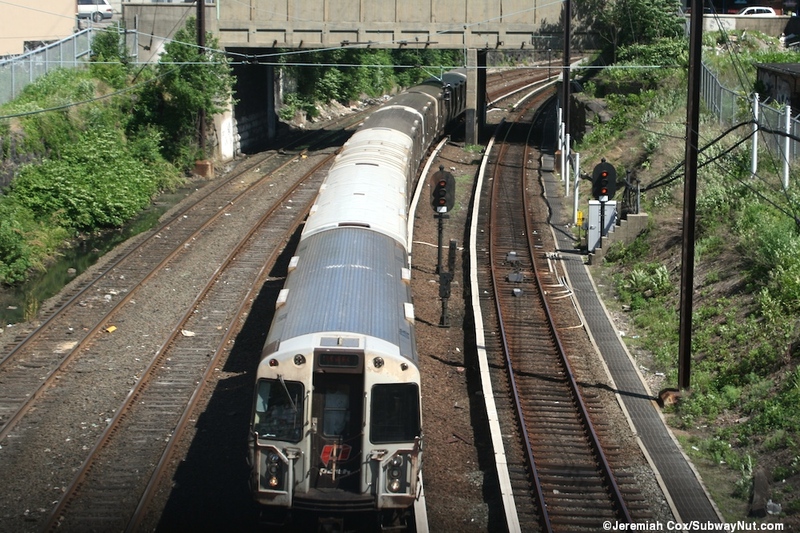 I visited in June 2011 when PATH was still in the process of phasing in its new fleet of PA5s (all of the old PA1, PA2, PA3, and PA4s were retired in late 2011) In this photo set I have photos of both the current PA5 trains in PATH operation as well as the old trains of different PA1-4s. 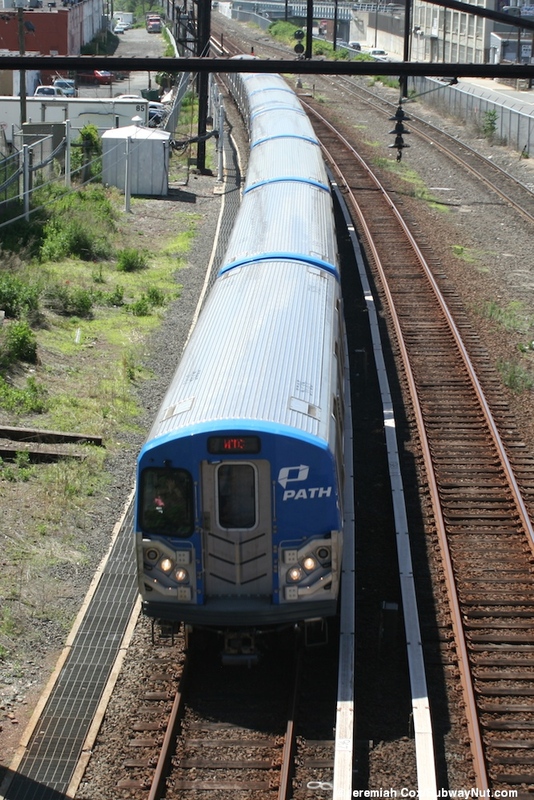 Unfortunately all the end cars appear to be PA4s.